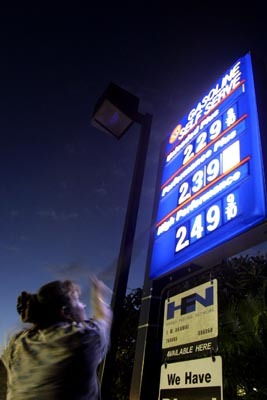 Found an old photo today of gas prices from 2004. Seems so long ago. Here the station attendant is raising the prices by putting new numbers up. And I thought gas prices were high then. Today’s prices are at over $1 higher.